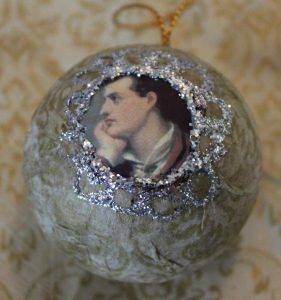 In these days, Christmas baubles are available in many shapes. 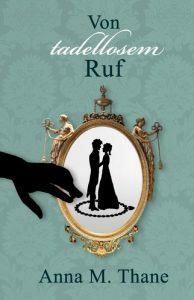 Still, a Regency Enthusiasts may feel a little bit lost in the Christmas departments of the stores: Deck your tree with cappuccino cups and high heel shoes? Here is First Aid for the Festive Season. 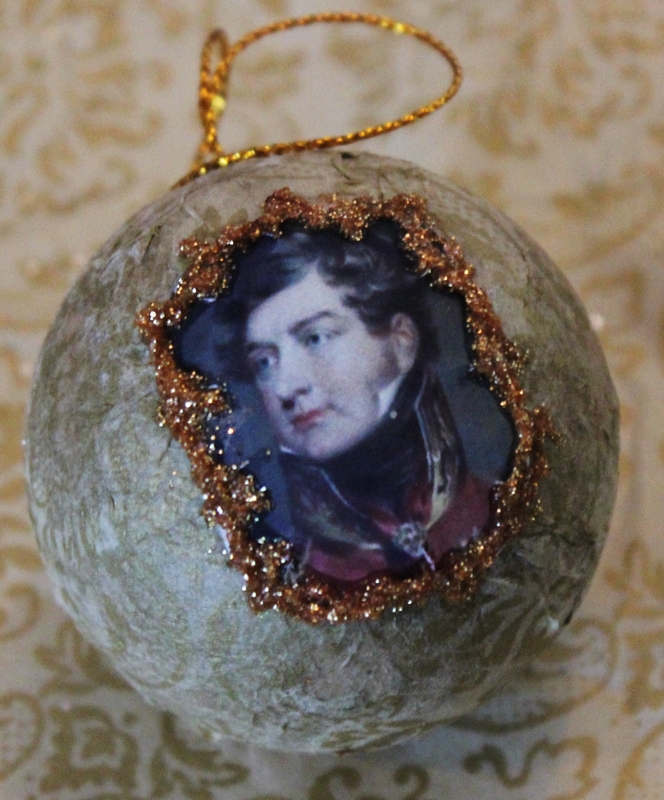 Create your own baubles with pictures of the Regency period! I know, I know, the Christmas bauble wasn’t an element of Christmas festivities during the Regency period. 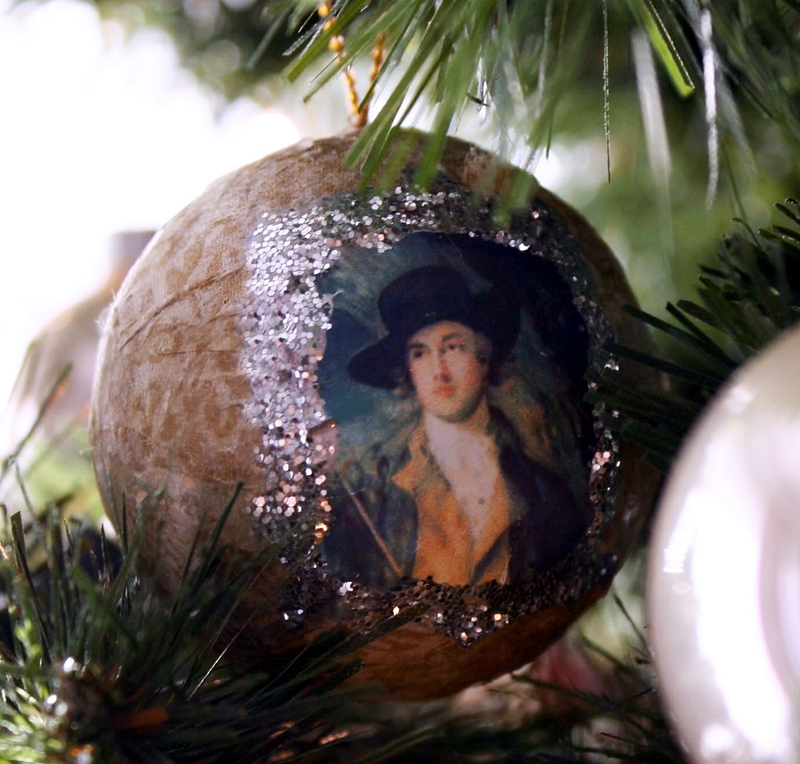 But why being meticulous when you could have a stylish tree, personalised and unique, with pictures from your preferred historical period? Let’s have fun and be creative. 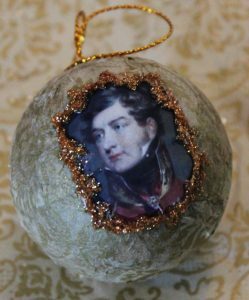 Select pictures of your favourite historical Regency persons, edit them to a size fitting well on your paper mache bauble (4,5 x 4,5 cm should do for large baubles) and print them on the transfer sheet. 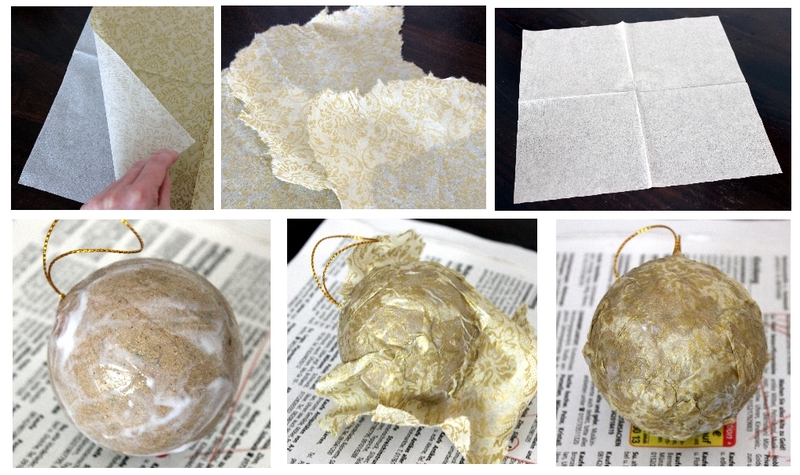 Paste the upper layer of the paper napkins on the paper mache baubles. Put the lower layer aside. Pasting the napkin on the bauble is a bit sticky. Hang the baubles on a bar while the glue dries. 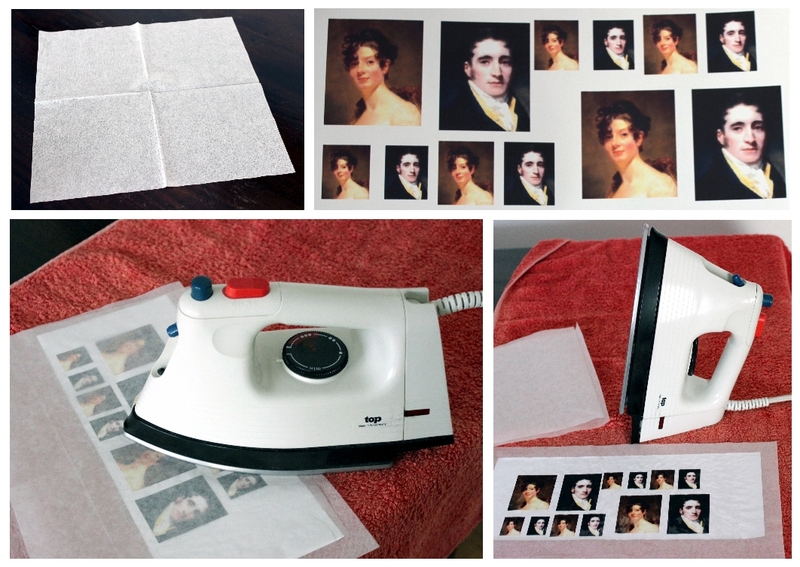 Follow the instructions on the transfer sheet box to iron the pictures on the lower layer of the paper napkin. Cut the pictures out. You have now soft and flexible pictures to work with. After the glue has dried, paste the Regency pictures on the baubles. Smooth out the creases. 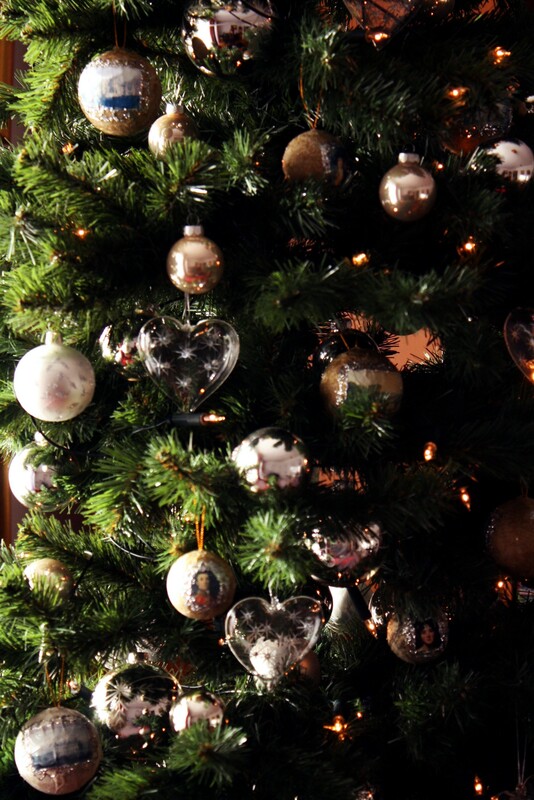 Then, draw an ornament around each picture with clear glue and dust the glitter on the glue. Let the glue dry and carefully remove the excessive glitter. Designing the ornaments with glitter glue is much easier, but before you use the glitter glue, test it. Some glue products reacts with the print colours of your pictures and leave ugly marks. 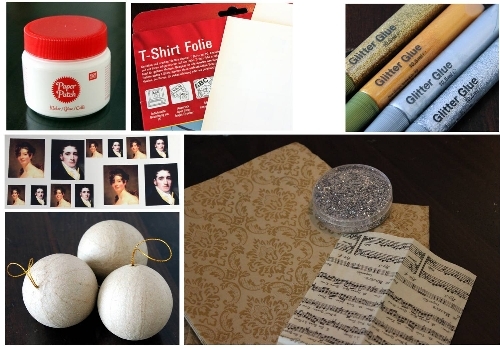 Other glue products dry too slowly, so that the glue will run and ruin your ornament. If you like, add fake gems or pearls. 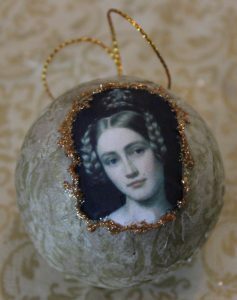 Here are some of my Regency-inspired baubles.